THE murder trial of the man accused of battering to death Hampstead pensioner Allan Chappelow will have to be heard again after jurors failed to reach a verdict. The jury spent eight weeks hearing evidence in the trial of Wang Yam, 46, of Denning Road, Hampstead. But after three days of examining detailed evidence, the jurors’ foreman told the court on Tuesday that they had “too many disputes” to conclusively reach a verdict on one count of murder and two other counts of fraud. They found Mr Yam, a bankrupt academic and financier, guilty of using Mr Chappelow’s cashcard to withdraw £20 from a cash machine in Hampstead, stealing his mobile phone and attempting to transfer £20,000 from Mr Chappelow’s bank account into that of one of his friends. Mr Justice Ouseley thanked the jurors for their patience and “for the time, care and attention” they had spent and added that it had been a “tricky case”. The collapse of the case, which saw Mr Yam defended by leading QC Geoffrey Robertson, means the Crime Prosecution Service will now have to seek a costly retrial. 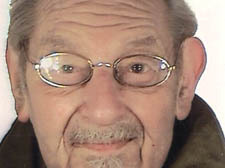 Mr Chappelow, 86, was found dead in June 2006. The Old Bailey heard how he had not been seen since early May. Police were alerted to suspicious attempts to transfer money from his bank accounts and cash share dividend cheques. Officers broke down the front door of his ramshackle Georgian home and discovered his decomposing body hidden under piles of old newspapers. The jury of nine men and three women heard the defence team highlight a lack of forensic evidence linking the accused with Mr Chappelow’s home in Downshire Hill. They also heard that despite detectives scouring Mr Yam’s flat in Denning Road, Hampstead, they failed to uncover DNA evidence linking him with the murder or the scene of the crime. Part of Mr Yam’s defence was based on claims he had unwittingly become involved with a Chinatown gang who were involved in kidnapping, money laundering, drug dealing and people smuggling. Mr Yam said he had become a bit player in their crime network and blamed them for the violent death of Mr Chappelow. Summing up, Mr Justice Ouseley reminded the jurors that Mr Yam was previously of good character and had always denied the charges. Mr Yam, a former physics academic at the University of Beijing, had sought political asylum in the UK after being linked with the democracy movement in the early 1990s. He had run a business buying and selling internet domain names before falling into debt. He declared himself bankrupt in November, 2005. The trial was the first murder case in British legal history to have swathes of evidence heard in secret. A gagging order was slapped on the case in December by the Home Secretary Jacqui Smith, but the reasons why have not been disclosed. Any speculation as to why the order had been sought or the sensitive nature of evidence heard behind closed doors would be in contempt of court, warned Mr Justice Ouseley. Mr Yam, who was flanked by a Chinese interpreter throughout the trial, was taken back to Belmarsh high security prison in south London on Tuesday afternoon to await sentencing for the crimes he has been convicted of – and to hear when he will next be in front of a jury to be tried for the violent death of the reclusive millionaire.